Lamp available in the suspension and ceiling versions. 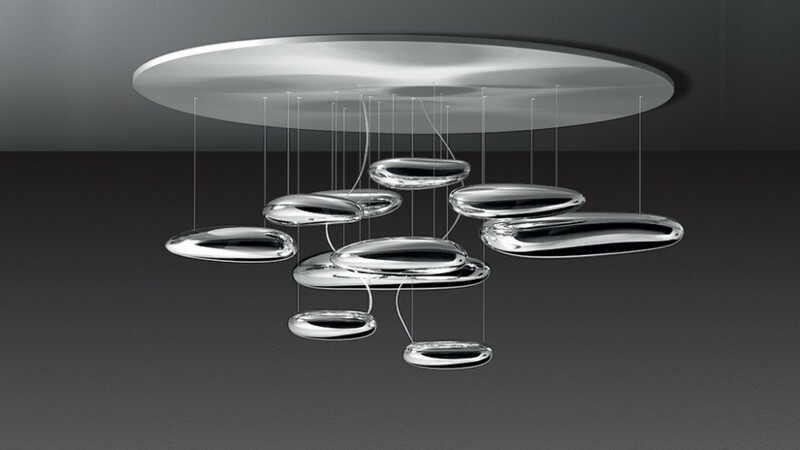 “A ceiling fixture that places a floating assembly of large pebbles below a simple modern aluminium disc. 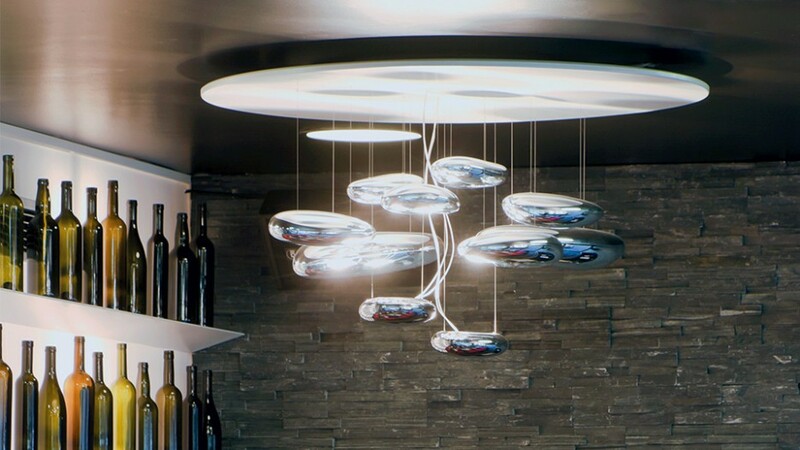 These in turn reflect each other bouncing light between their taught bio – morphic surfaces and reflecting the environment around them. During the day the piece acts as a sculptural object reflecting the dynamics of natural light and the movement of people around them. Die-cast aluminium lighting units, reflective units made of injection-moulded thermoplastic material with metallic finish, stainless steel reflector.